A long time ago, I attended PAX Prime 2013 to cover the cool and unique games there for oprainfall. 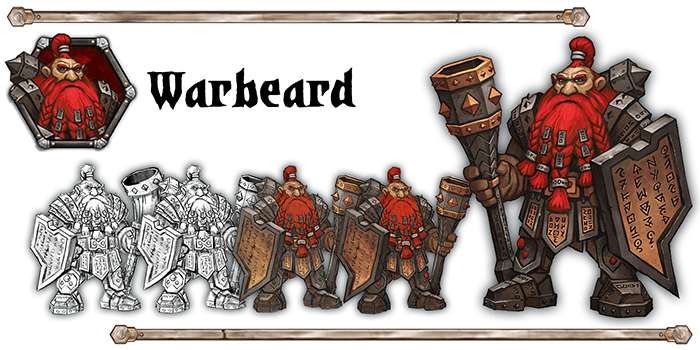 I found the Indie Megabooth hosted the most interesting stuff there, and of those games, the one that most caught my attention was Dwarven Delve. A unique “action puzzle crawl” from the fine folks at TinkerHouse Games, it captivated me despite there being no playable demo at the event. Besides that, I feel some kinship with the mythical race as I also sport a flowing, manly beard. Regardless, the game looks really cool, and I wrote all about it to try and convince you that it was worth your time. I am writing to you today for a similar reason. 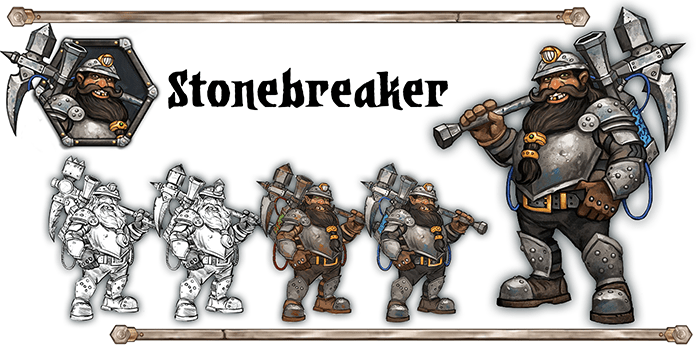 This marks the 2nd time Dwarven Delve has attempted to get funded on Kickstarter, and I sincerely hope the 2nd time is the charm. Let me remind you why you should care. First of all, now the campaign has fixed one of the biggest concerns – there is now a playable alpha demo you can try. So for those of you who were put off by a lack of understanding, that’s no longer an issue. Second of all, it’s very inexpensive to get a copy of the game. Assuming they reach their funding goal of $30,000, it only costs you $10 to get a playable copy of the game. Given that the campaign still has around 20 days left to meet the goal, and have already reached about a third of that amount, it’s more than possible, and hopefully likely, that it will get funded this time. Another cool thing? 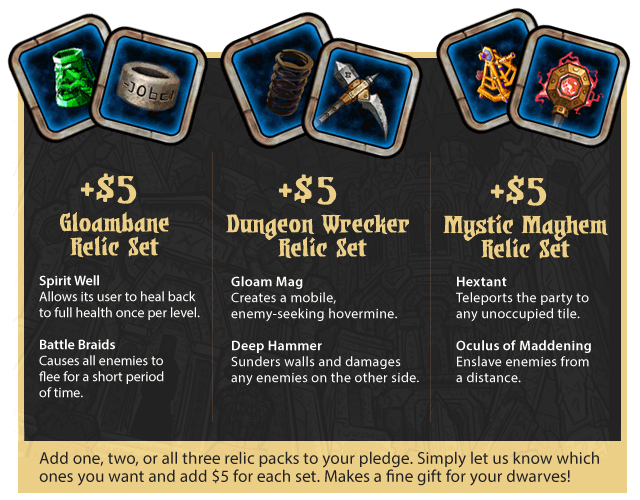 Dwarven Delve will be available PC, OSX, Win 8, iPad and Android Tablets if they reach their goal. 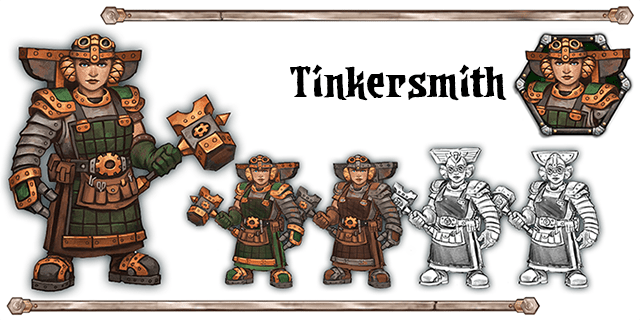 Besides all that, Dwarven Delve also has some cool rewards and extras. 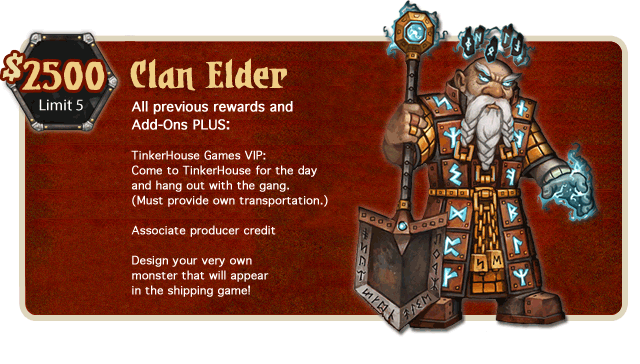 For $10, you get the game, your name on the Founder’s Stone on the website and a deluxe digital art pack; For $25 you get all that plus beta access for playtesting and your name in the credits; for $100, you get all previous rewards plus alpha access and Into The Deep, which is a printable tile set from the game that lets you play as a tabletop RPG; and for a whopping $2500, you get everything plus a digital art book, you get to Dwarf yourself, which brings your likeness to the game AND associate producer credit, design your own monster and hang out with TinkerHouse Games themselves. On top of that, for an additional $5 you can get some cool add-on rewards and in-game boosts.